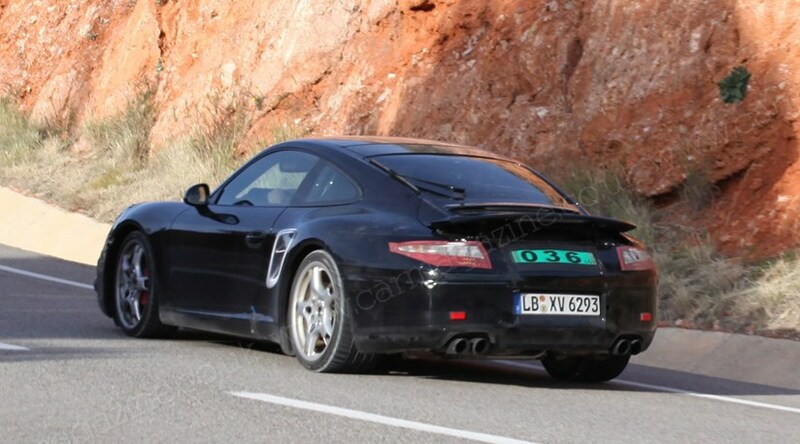 Another week and yet more spy shots of Porsche’s all-new 911. And this time Porsche’s next-gen 911 is showing off its new pop-up rear spoiler. So what can we see on these latest photos of the new Porsche 911? The bigger rear spoiler, which is now wider than ever before, and extends beyond the intakes atop the engine and out across the flanks – it’s there to make the 911 both more slippery and stable at speed. Ignore that Turbo-aping disguise, too. And as we close in on the launch of the new 911, the rest of the disguise is slipping away, revealing the familiar silhouette but a Panamera-influenced snout. What else can you tell me about the new 911? Slung out the back will be a marginally downsized 3.4-litre flat six for the 345bhp Carrera, while a 394bhp 3.8-litre flat six will power the Carrera S. You’ll be able to mate either to a seven-speed dual-clutch PDK ‘box, or (yes, really) a seven-speed manual transmission. There’s some eco sops too, with stop/start, intelligent decoupling alternators, and for the first time (and rather worryingly) electric power steering. Porsche boss Matthias Müller also recently confirmed to CAR at the LA Auto Show that the company was working on flat four engines based on the architecture of the current flat six. The new motors are earmarked for the next-generation of Boxster and Cayman, but although Müller ruled it out for the 911 in the near future, we hear it will be deployed in the rear-engined icon in around five years time. The new Porsche 911, internally dubbed 991, will be unveiled at the next Frankfurt motor show in September 2011.